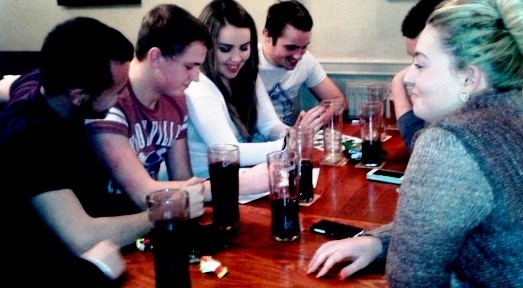 Fun Pub Quiz - First 4 packs FREE! You can use the form below to contact me and I will provide you with 4 quizzes absolutely free, sent directly to your email address! Just complete the form below and I will do the rest. Your first pack along with a welcome message will be sent to the email address you provide (usually within 24 hours) and each week a new quiz will be sent to that address ready for the week ahead for a further 3 weeks. I then send you a follow up email after the 4th pack with easy links for you to order packs meaning that your packs will continue to be sent to you for as long as you've ordered. Each week a new pack will be sent to your inbox ready to present to your quiz crowd. If you like the pack, then for less than the price of a pint we will ensure you keep quizzing with great quality quizzes each and every week. Should you require more than 1 quiz a week then let me know or even if you only want a quiz each month or 2 weeks, that's fine too ! Each pack and the contents within are the property of FUNPUBQUIZ.com. Any pictures and likenesses are the properties of the owner's copyright. Each pack is purchased under the strict understanding that each pack is to be used in one premise only and by the customer to whom the pack is provided or a single nominated deputy (quizmaster). For packs to be used within multiple venues or on multiple occasions, a separate contractual agreement must be sought with FUNPUBQUIZ.com. 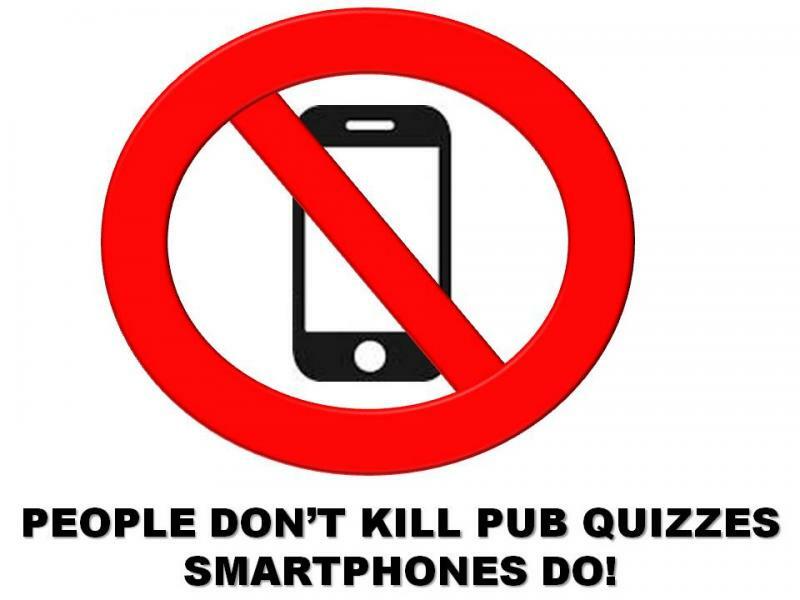 The owner of FUNPUBQUIZ.com reserves the right to refuse provision of packs at anytime. 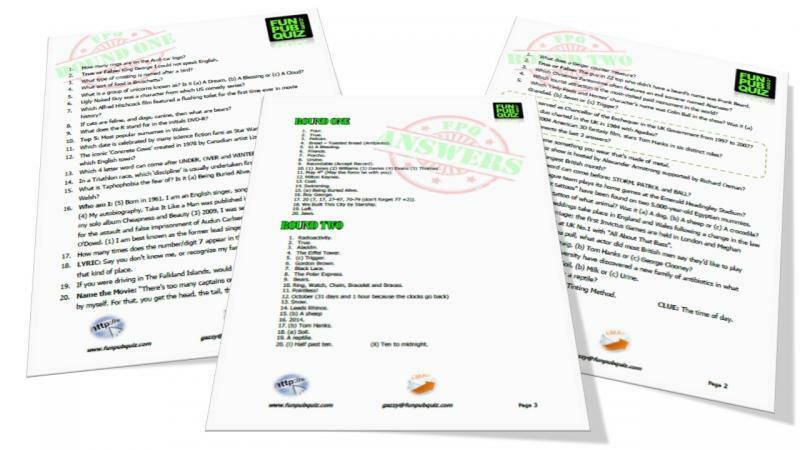 By completing the form below (this will take about 60 seconds) you will be requesting a weekly delivery from FUNPUBQUIZ. You can cancel this at any time, but if you do not cancel, I will email you to remind you to place an order after your 4th pack is sent, so don't worry. Contact you at times when it is not necessary! Send emails pestering you and clogging up your inbox! Profit from or share with others the information provided below! PLEASE make sure that the email address is spelled correctly. If I will not be able to provide the packs to you. You will only be contacted by phone in cases where I am unable to contact via email. This is for emergencies only and is treated in the strictest confidence! There are two types of packs available to order. The Classic MIXED Pack contains questions on a mixed range of types and styes. Or your crowd may be of an older set and prefer the SILVER Packs, where nostalgic questions are preferred. This ensures I know which pubs are using these packs. It helps me ensure that a near pub isn't using the same quiz questions. Have you read the conditions of this offer? Yeah, I understand, please send me your weekly quizzes!! Once you've completed the details , hit the submit button!